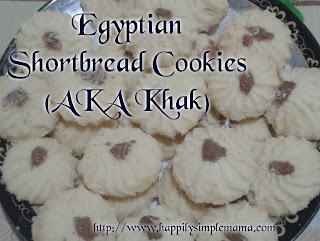 Kahk is an Egyptian form of shortbread cookies. Most commonly baked and enjoyed during the month of Ramadan (the fasting month for Muslims all over the world), Eid Al Fitr (a three day holiday which follows the month of fasting), and also during other happy occasions. While there are different variations of this cookie, the following recipe is of the simplest form. 1. Adjust an oven rack in the upper half of the oven. Preheat oven to 350 F (180 C). 3. In a large bowl cream together butter and sugar. Add in half of the flour and stir. 4. Stir in remaining flour. Add vanilla. (Add chocolate if making chocolate cookies). 5. Roll cookies into balls or press into molds and place 1-inch apart on baking sheets. 6. Bake 10 - 15 minutes. Try making a dent by pressing the top of the cookie with your finger. If you are unable to do so then remove cookies from oven. 8. To make the chocolate garnish on top of the cookies, melt chocolate in a double broiler. If you do not have a double broiler you can melt chocolate by placing it in a metal bowl over a pot of simmering water. 9. Carefully transfer chocolate into a pastry bag fitted with a small tip. Add a small amount of chocolate on top of each cookie. Those sound awesome. I am definitely going to have to make those for my family! Yum! These sounds tasty! 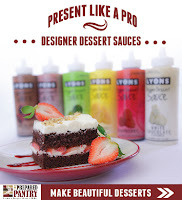 I'm going to have to make them sometime.